TRANSPORT Infrastructure Ireland has refuted claims that the risk of flooding in the area was not taken into account when the Gort to Tuam motorway was being designed. 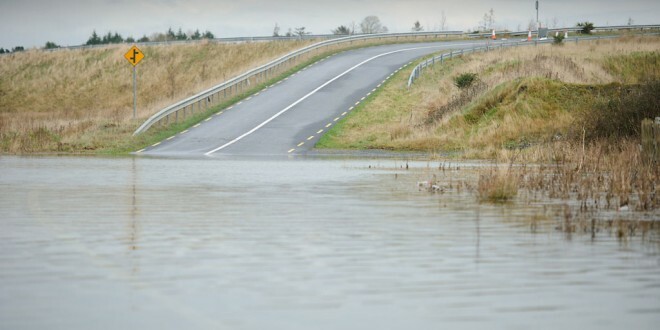 Transport Infrastructure Ireland (TII) has stated that motorways are designed and built to maintain the existing flood levels in the area in which they are constructed, with the principle aim being not to compound the existing conditions. “Therefore, the M17/M18 motorway design has to cater for the existing conditions. Under OPW’s design guidance, the M17/M18 motorway has an additional 20% design capacity above and beyond the existing conditions to take into account current climate change events. “It should also be noted that the national motorway network remained open during the most recent extreme weather events. Will motorway/road design always be climate-change proof? The answer is in the question; climate change will drive the design criteria into the future,” said Sean O’Neill, spokesperson. TII was responding to claims by hydrologist Professor Paul Johnson that flooding mitigation works will be needed north of Coole near the railway to ensure the new €550 million Gort to Tuam motorway does not experience a repeat of recent excess water levels. Mr Johnson has claimed that the risk of the new motorway exacerbating flooding in the area was not fully taken into account when it was originally designed eight years ago. Galway County Council director of services Liam Galvin has confirmed that the authority has asked its representative on the steering committee for the motorway project, which includes TII and the contractors, to conduct a review of drainage along the motorway to see if the flooding was caused by the motorway or other factors. The 57km corridor, which is under construction, was flooded in several areas between Coole and Kiltartan during the recent storms, with water levels peaking late last week and only slowly receding. Mr Johnson, who was working on behalf of the National Parks and Wildlife Service (NPWS) during the planning stage, said there were a lot of discussions between the agency and engineers who were aware of the flooding issue. Stating that flooding in this location is not a new problem, following previous incidences in 1995, 2000 and 2009, Mr Johnson, who works in Trinity College Dublin’s civil and environmental engineering department, said a new bridge, culvert or some other means would have to be found to allow the water to pass from one side of the road to the other without going onto the road surface. Noting the high volumes of rainfall during December, he said flooding in the area was about 50cm higher than it was in 2009. Mr Johnson said eight years ago there were considerable consultations between engineers and other agencies about flooding, ecology due to location of feeding and roosting grounds of bats and the ability of the ground to support the road because of the location of several caves and caverns. He said engineers were keen not to build the new motorway on top of parts of karst, which proved to be the predominant consideration as the chosen route had sufficient rock to support the road with a limited dangerous of collapse. “The engineers chose this route on the grounds it provided the least risk of road foundations being damaged. But then you pay the price because it wasn’t the most attractive route environmentally and in terms of flooding. “While the final design was a compromise, they should have mitigated against the risk of flooding in this area. There should have been a better account taken of that risk,” he claimed. “The road should not have followed the landscape as it did. It should have been raised up or possibly built with a bridge. There is a substantial flow of water across that area. There is also a danger if you raise the road above the flood level on an embankment that you make the road into a dam with risks to adjacent properties and farms. “In order to prevent this from happening, you need to create a bridge or a large culvert, so that water levels are not different on either side,” he explained. The impact of the recent flooding on homes and businesses throughout South Galway was highlighted at a special meeting of Galway County Council last Thursday. Council cathaoirleach Peter Roche confirmed that councillors requested Transport Infrastructure Ireland (TII) to investigate whether the construction of the new motorway is adding to serious incidences of flooding in North and South Galway. The Fine Gael councillor claimed a number of Government departments and agencies have neglected to properly maintain underground culverts and construct flood defences in some parts of Galway. He called on all agencies, such as TTI, NPWS, the council and other stakeholders, to come together and decide what programme of works are necessary to prevent a repeat of the flooding that has wreaked havoc throughout South Galway. Senator Lorraine Higgins has questioned whether the new motorway has contributed to flooding in South Galway. “Given the developers of the motorway knew of the flood risks in the area around Labane, Cahermore and Ballynastague, surely they should have seen sense and looked to alternative routes. What they have chosen to do, notwithstanding the information they had, is akin to putting a brick on a wet sponge. 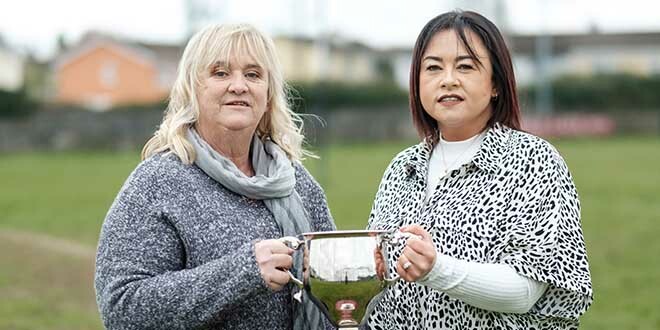 “However, more worryingly, did they allow for a complete re-engineering of the land and drainage systems, which has now exacerbated flooding in South Galway? Because if they were aware of the flood risks surely they had to make plans to facilitate the water, which had to go somewhere,” she said. She said if this is the case and if flood water was diverted from its natural course, she wanted to know what contribution would be make to the lives and homes of families who have been affected by the floods.